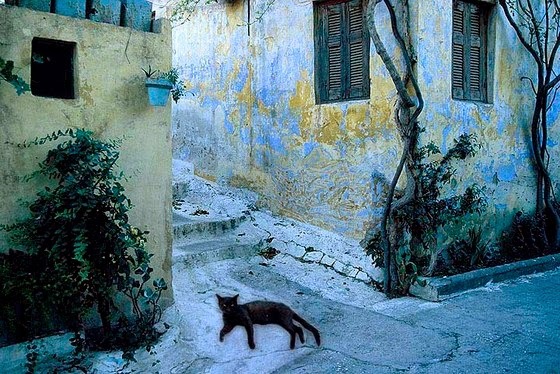 "Here we are in Plaka. 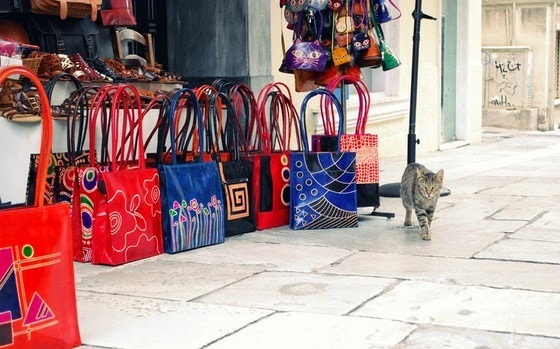 It's the oldest neighborhood in Athens, and it still has wonderful shops, restaurants, and tavernas," one of the characters in the book KeeKee's Big Adventures in Athens, Greece says. 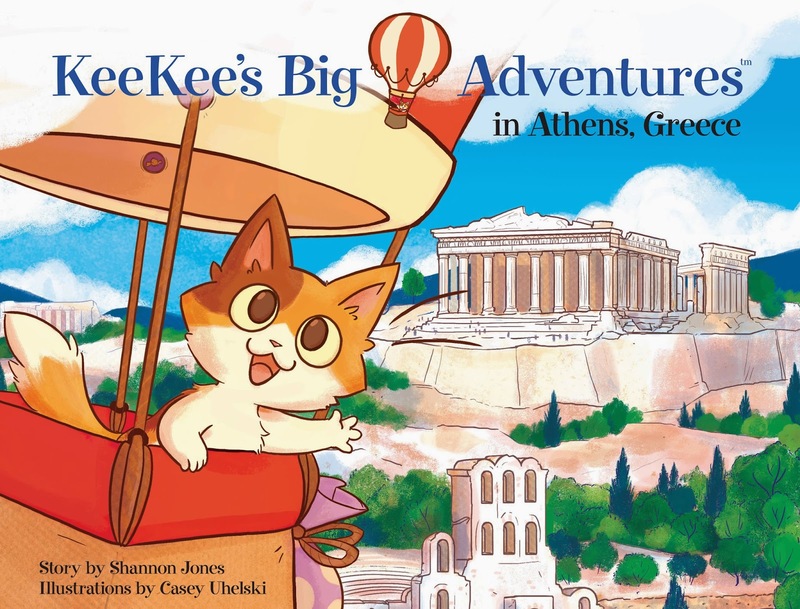 Equally adorable and informative, KeeKee's Big Adventures in Athens, Greece is a children's book about a world traveling cat. It's the perfect book to teach your kid (or yourself) about Greek culture, gods, food, and places of interest in Athens. 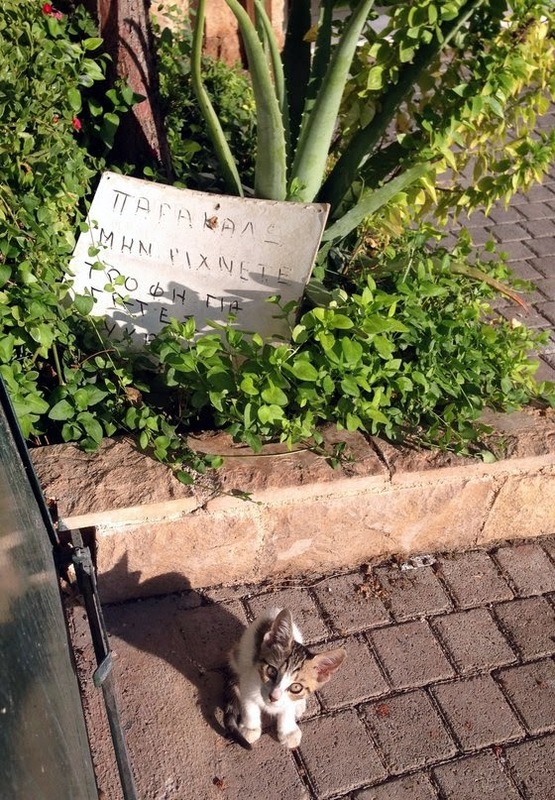 They'll even learn how to say thank you, goodbye, enjoy your meal, and meow in Greek. It's one of my favorite children's books. So colourful and makes us think of holidays past. Have a terrific Tuesday. ❀ ❀ ❀ bonne journée ! Lovely pictures, nice to see all the cats. The cats are everywhere! Very nice pictures. Great shots! It's hard to pick a favorite. Oh my gosh, Greece is one of my dream destination! I would love to win that book for sure!! If I gt a chance to travel to Greece, I would love to stay there for at least a year to learn about the cuisine and culture. Athensis one of the oldest cities, it would be a great place to see just for the arts alone. What a wonderful place to find sweet kitties, and tour!!! Lovely architecture of Greece. Love to see the cats in that place. 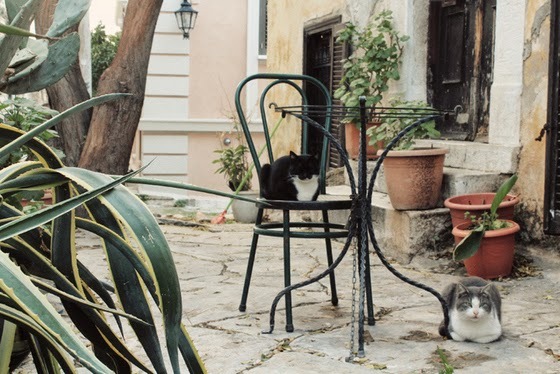 Our Mum loves Greece - particularly the Acropolis area in Athens which is full of lovely cats. It's wonderful that so many people go to climb up to the top but alas the stone path was gradually wearing away with so many passing feet. What gorgeous photos! I'm not entering the draw though, because I have no kid to give that wonderful prize to. I loved seeing all these photos. We just got a puppy but my son was particularly fond of a kitten at the breeder! Oh I just love the pic of the cat jumping down from the tree and the very last kitty pic too!!! How lucky you are to see so many cats of all nationalities ! All the pictures are really nice. I would love to take a trip to Greece one day. Those are such lovely pictures. Who ever took them did a really good job, especially the last picture. I think I would enjoy that book. You have a great day. Wonderful photos! The second one is my favorite -- with the blue wall and the light streaming in through the trees. Wow such adorable kitties and beautiful scenery! It would be so much fun to take a walk there. Greece is one of the places I'd love to go some day. I think it would be nice to travel the world just to see cats. I wonder if all cats like the sound of shaking a bag of kitty treats? We love all those cuties but that first photo is so darn cute! 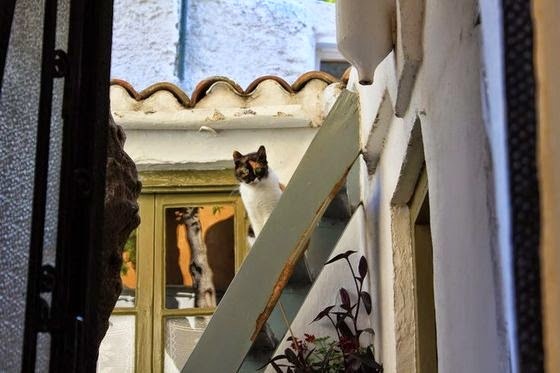 meowloz ta everee one in Greece !! Wow, the cats are all over the place. So beautiful! It's a cat holiday hot spot! I love it!! Kitties! I'm so allergic to cats, but I think they're adorable. Thanks for sharing this great photos! Cats are such amazing creatures! I adore them! I'd love to go there and sample the authentic Greek food! Lovely pix as usual. 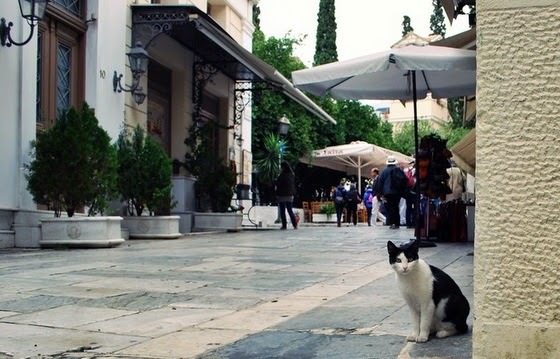 I remember Greece being full of cats especially in outside restaurants they were winding round your feet the whole time. All of those cats look like they would have distinct personalities. That looks like such a fun book! Wow, I have a slight obsession with Greece, have visited several times. Love all of your pics, they are gorgeous! Your photos are just amazing. I'd give just about anything to visit Greece. My niece went and her photos made me jealous and now yours are :). Those kitties are adorable. The one black & white one could be a twin to my cat in North Carolina! 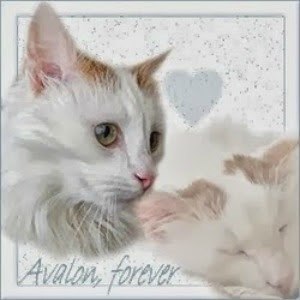 Lovely cat's, nice set of pictures. There are cats everywhere! Lots of cats in beautiful places. You talk about making yourself at home! And that book looks adorable. What beautiful photos! I have always wanted to travel to Greece. Are all those cats just roaming the streets? I love cats so much, they look insanely adorable! The pictures are beautiful! That's a fun giveaway. I would like to visit several places in Greece, Athens is definitely one of them. Cats often don't keep still when you want to take a photo. These are so creative and I love the colors! Those kitties probably think they're in paradise. what wonderful photos. Thanks so much for sharing. Definitely keepsakes. What a trip of a lifetime for sure. I have always wanted to travel to Greece because of the food, historic sites and ocean!! Those are such adorable pictures. My youngest loves cats so she had a fun time looking at these with me. These are great photos you captured. I would love to visit Greece someday. Awww, I have a kitty :) It's really nice to see the strays there do not look emaciated and sick. When I found my cat she was almost dead and super lonely- those "ferals" seems really friendly! I love the colors of the houses from the firsts pictures, so beautiful. Beautiful kitties and scenery!! We always enjoy looking at your gorgeous photos. I am in love with cats of all kinds. 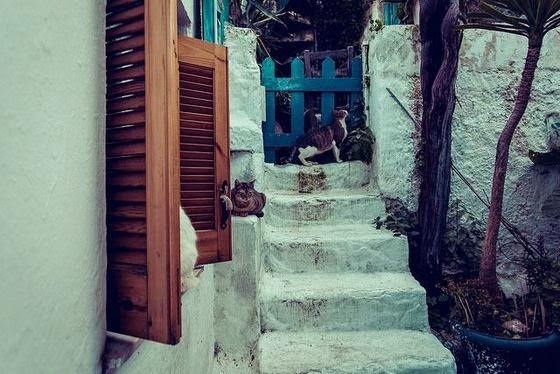 I especially love this post because of the beautiful scenery around the cats! Great photography and post! I have always wanted to travel to Europe. Greece is first on my list! Such beautiful photos and photogenic kitties. Greece is still on my bucket list! Greece looks like a beautiful place to travel to. It is colorful, charming and on the water. I hope someday I can go! This is a wonderful giveaway! Thanks so much for the chance to win. 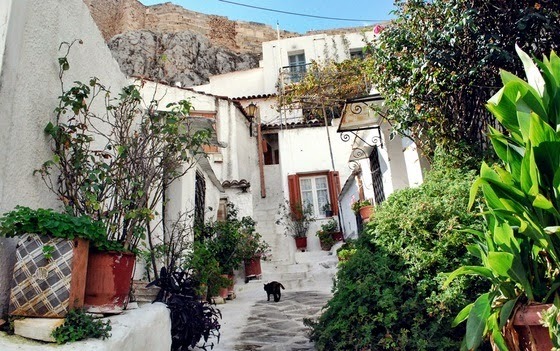 :) I would love to visit Athens because of its history and I am curious to see the beautiful, colorful streets. I have heard that the views of the water are breathtaking and that life has a slower, happier quality to it in Athens. The kitties look super relaxed! So many beautiful kitties, and they all look well cared for. 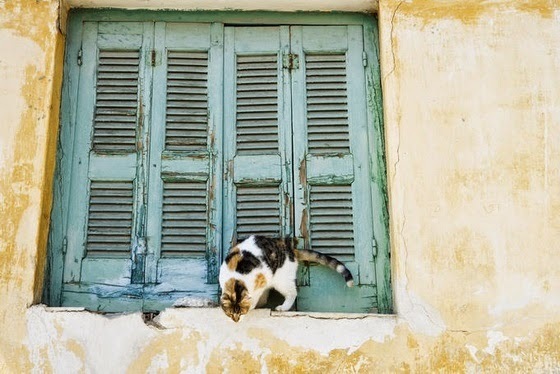 Looks like Greece is a good place to be a cat. 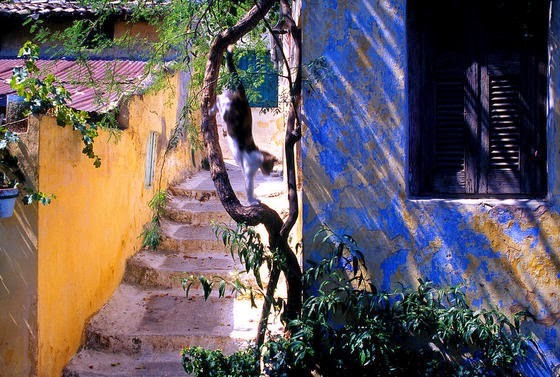 Lovely old city ... Lovely ... And lucky kitties. I wish I could explore with them! To me Athens would be a perfect mix of natural beauty and amazing history. So many cute kitties! I want to go visit Athens one day! I am sorry, I am not entering the giveaway. I don't have any children around me. Congrats to the lucky person, who is going to win! 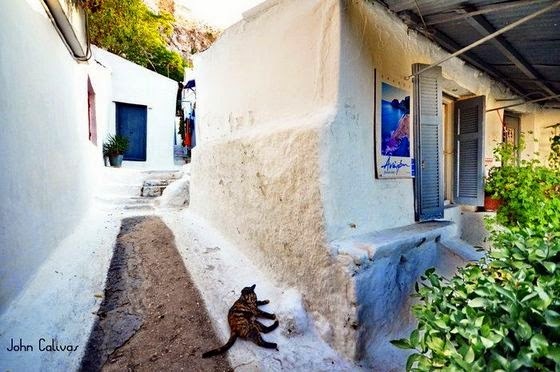 La Grèce est un peu le paradis des chats. Et les couleurs sont tellement belles. Athens, Greece is a destination that my children would love to visit because of the history, culture and beautiful architecture. My husband and I would love to enjoy the food, meet the people and explore the beautiful country. I love the patch on that cat's head. The background in Athens are pretty too! We homeschool and have been studying Ancient Greece. Going there would of course be living history, but this book would also give us a great perspective. Athens would make a great travel destination because of its beauty, history, culture and food! Athens would be a great place to visit even if it was only in a coloring book, all the great ruins and all the history. Once upon a time I received a book called cats of Greece. I've wanted to go since the to see the cats, colors, and everything else about Greek life. 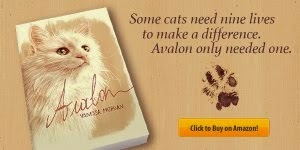 What gorgeous photos of kitties and what a lovely book! Someone with children would LOVE that! Would be great to visit because of the history. I believe that Athens would be a great travel destination because of the history and culture. It would be as much of a vacation as it would an educational experience. We would love to travel to Athens as my husband's grandfather came directly from there. Love to visit his old stomping grounds. It's because they have cute cats and good food! Why I went to school when I was in high school and I was too busy to do " stupid " with my friends and I saw little of the city. I would love to visit Greece because of the scenery and the history...a beautiful place!!! The only purpose of this segment is to save you money. tiffany boxing day sale Broncos WR Emmanuel Sanders cleared the NFL's concussion protocol to return to practice Friday after being injured in last weekend's loss to the Rams. Sanders hasn't yet received final clearance to play against the Dolphins. Swarovski australia sale Browns TE Jordan Cameron (concussion) has been ruled out for Sunday's game at Atlanta. Falcons WR Julio Jones and RB Steven Jackson returned to practice with the team on Friday following undisclosed illnesses. tiffany and co australia sale Both players are expected to play Sunday against the Browns.